Maintaining constant material tension during wind-up supports product quality and keeps your operation running smoothly. 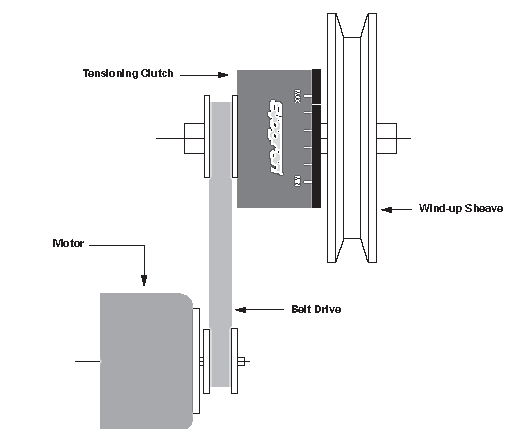 Because Sjogren’s tensioning clutch relies on permanent magnet technology, the units are very durable and have no mechanical wear parts (excluding ball bearings). The Eddy Current devices use twin magnet disks, but maximum torque position is opposite of a Hysteresis disk. Magnetic field strength is high when “unlike” poles are on opposite sides of the disk. Conversely, magnetic field strength is low when similar poles are opposite. Eddy currents (torque) produced are proportional to slip speed.